In a town known for its historic Inn's BranCliff Inn emerges as one of Niagara-on-the-Lake's finest accommodations. Exquisite craftsmanship and attention to detail greet the guest at every turn. 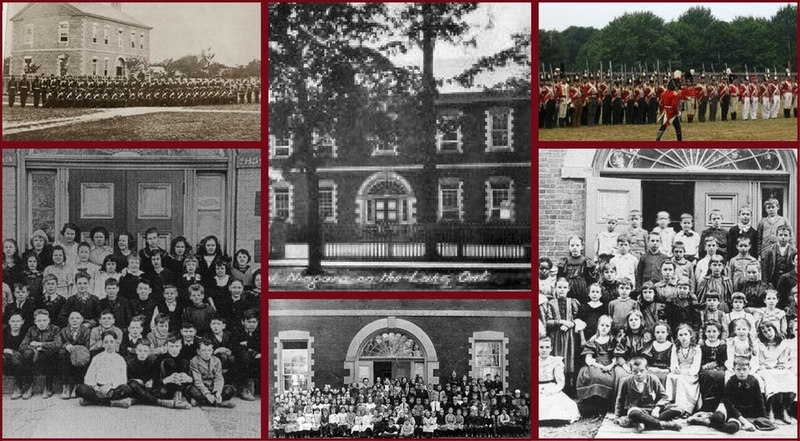 The structure was built on the military grounds of Niagara-on-the-Lake in 1859 and served as the town's first public school. It had four class rooms, two on each level, and was used until 1948 when the new school on King Street was opened. At that time it was converted into a four unit apartment building, and over the years changed hands several times. Having fallen into a state of disrepair, the building was purchased in November 2002. After a lengthly renovation, the building was totally transformed into a purpose built 6 suite Country Inn. As the ceilings and walls were opened up, school blackboards with writing still on them and the original tin ceilings were discovered. The renovations included pulling up the original inch and a quarter maple flooring and reinstalling it over a plywood subfloor. The original tin ceiling was taken down, sandblasted to remove the many layers of paint, and reinstalled in the dining room, foyer and library loft areas. It is difficult to describe the building with its 17 foot ceilings, oak paneled dining room, gothic chandelier...but as you look further at this website, the pictures may help to give an idea. When you arrive in person, you will be more than amazed! © 2019 Copyright BRANCLIFF INN CIRCA 1859.